alongside long-term creative partner Gary McCreadie. With Hawes now moving to Marcel, it will be the first in 10 years him and McCreadie have not worked together. 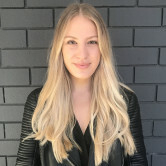 AdNews understands Hawes has not been working at TBWA/Sydney for the last six months. TBWA/Sydney have no plans to replace Hawes. Hawes says: “I’ve enjoyed great success at Whybin’s, both creatively and from a new business perspective, but part of me wanted to get back into the engine room." Marcel Sydney underwent a restructure at the beginning of 2016 to become the “creative engine” of the Publicis business, with the network retiring its Publicis Mojo brand in the Sydney market only. Hawes is one of many big industry hitters to leave a top agency of late. Early in November DDB Melbourne’s award-winning chief creative officer, Darren Spiller, revealed he was exiting the agency after spending more than five years at the shop. 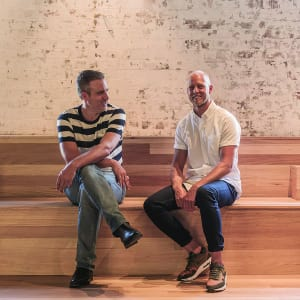 Some 10 days later Clemenger BBDO Sydney ECD Paul Nagy handed in his notice, with Y&R chief creative officer Ben Coulson named as his successor. Days after, M&C Saatchi chief creative officer Andy DiLallo announced he would depart the agency after less than two years - to spend more time with his family. Hawes joins Marcel in mid-January. He’ll be working with the management team across all clients and new business opportunities. Marcel Sydney ECD Scott Huebscher and deputy EDC Wesley Hawes. Wesley Hawes, the former joint-ECD of TBWA/Sydney, has departed the agency to join the management team at Marcel Sydney. Hawes will take up a deputy ECD role working alongside ECD Scott Huebscher and Marcel Creative Chairman, David Nobay. Hawes spent eight years at BBH London before being snapped up by TBWA in 2014 alongside long-term creative partner Gary McCreadie. With Hawes now moving to Marcel, it will be the first in 10 years him and McCreadie have not worked together.